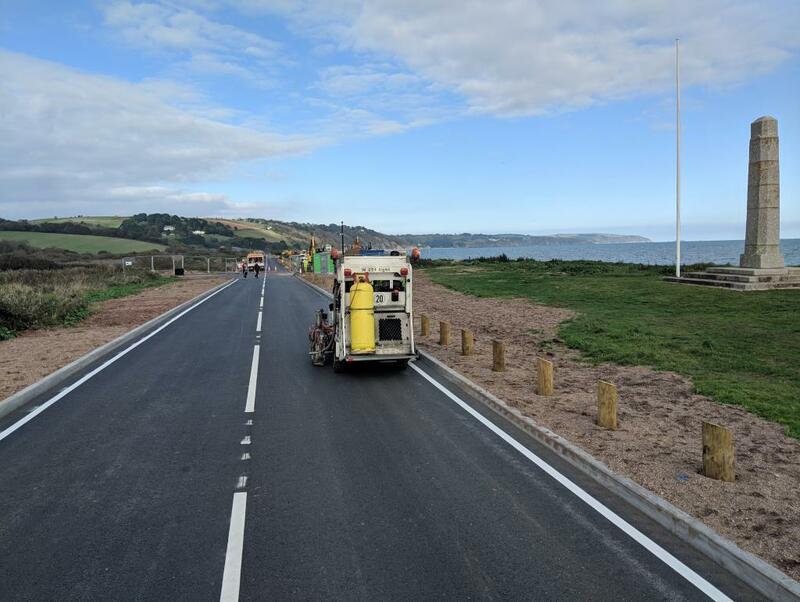 The beautiful and distinctive setting of this road which runs beside Slapton Sands will be easily recognisable from the photos to anybody who has ever had the pleasure of travelling along this stretch. 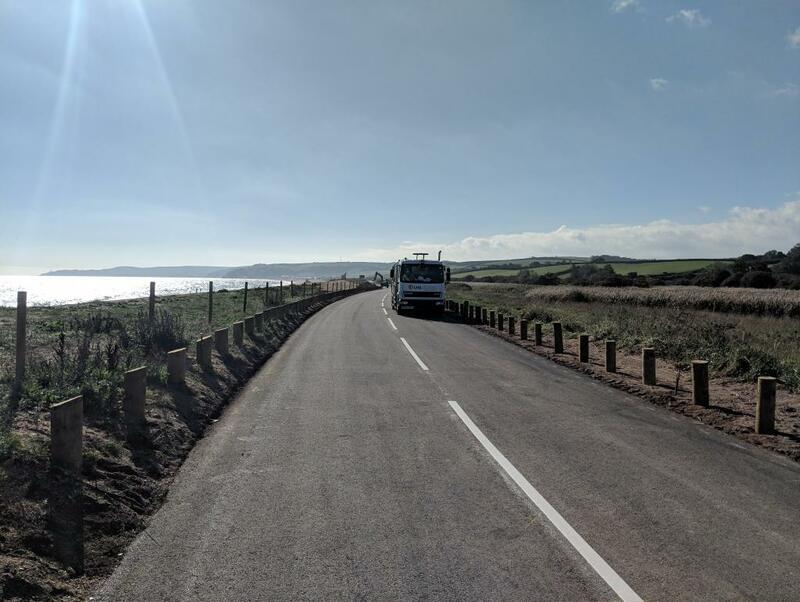 Unfortunately, the road, due to its position often falls victim to bad weather, with Storm Emma in March wreaking havoc across the area. 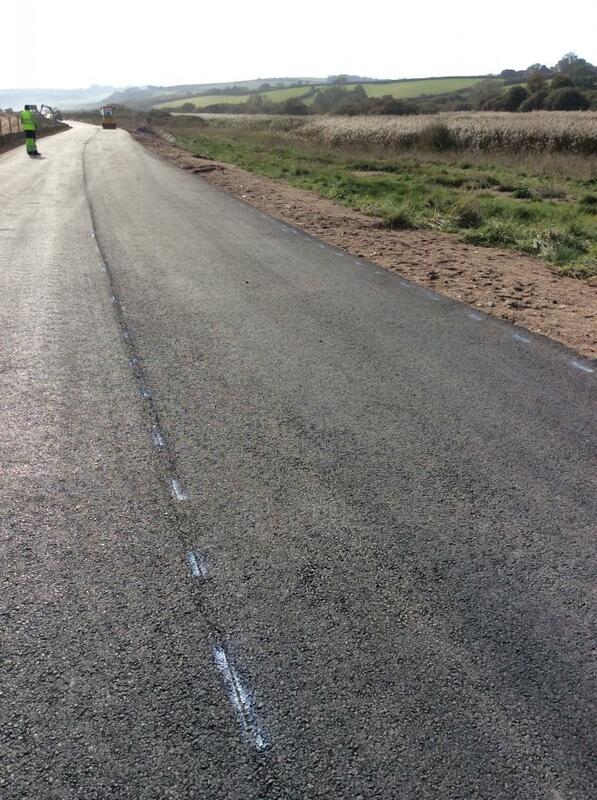 Unavoidably, a stretch of the road had to be closed while structural assessments and repairs were organised. 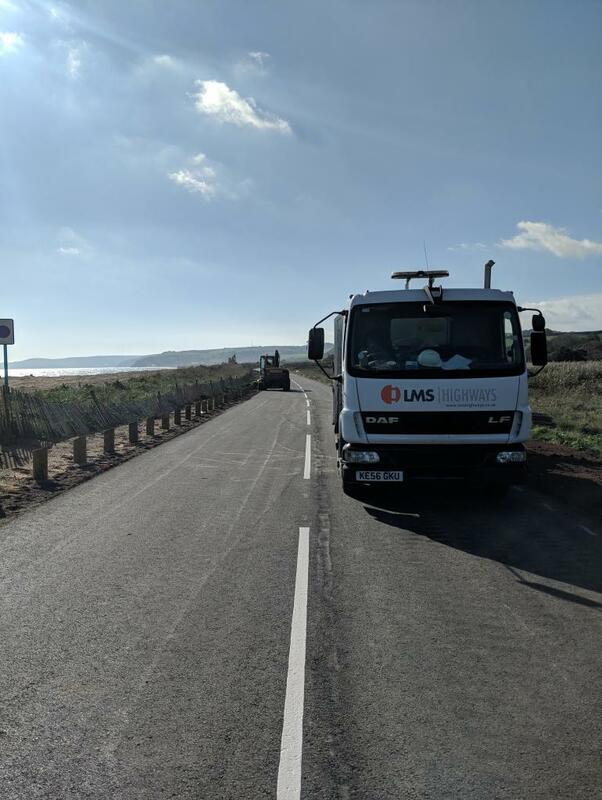 Now that this work has been completed, LMS Highways crews were organised to restore line markings to the new carriageway. As you can see from the photos we were blessed with good weather and our crews certainly enjoyed their trip to this location. 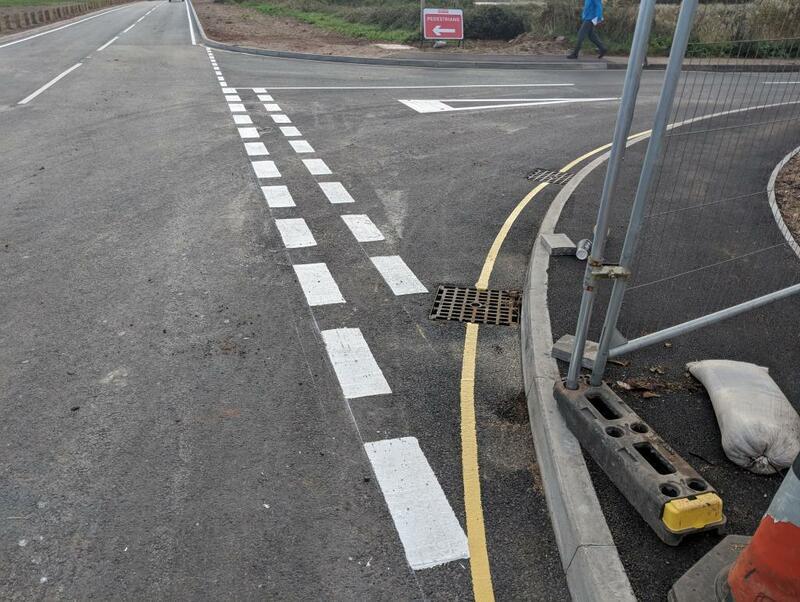 Our own highly capable line marking extruder was used to provide centre and edge markings, providing a fast application of the thermoplastic material. 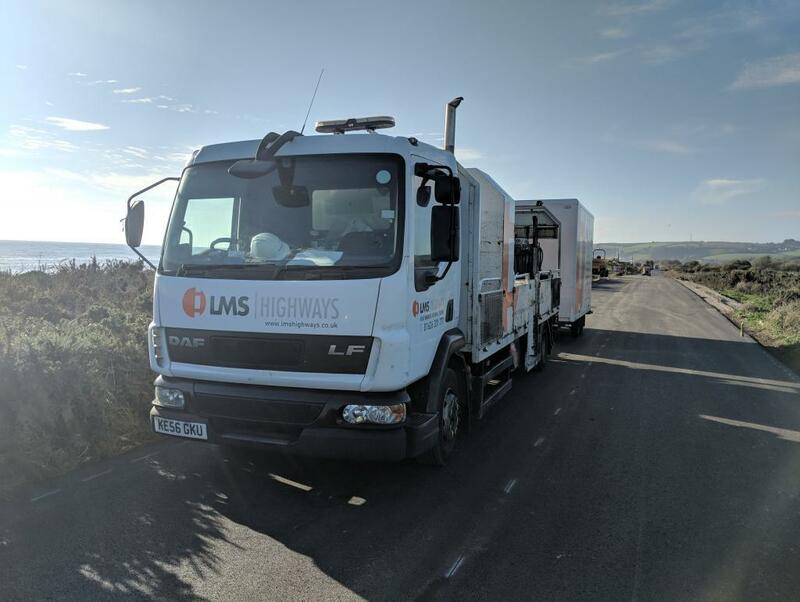 LMS Highways line marking extruder makes light work of laying down centre and edge markings on main roads, trunk roads and motorways. 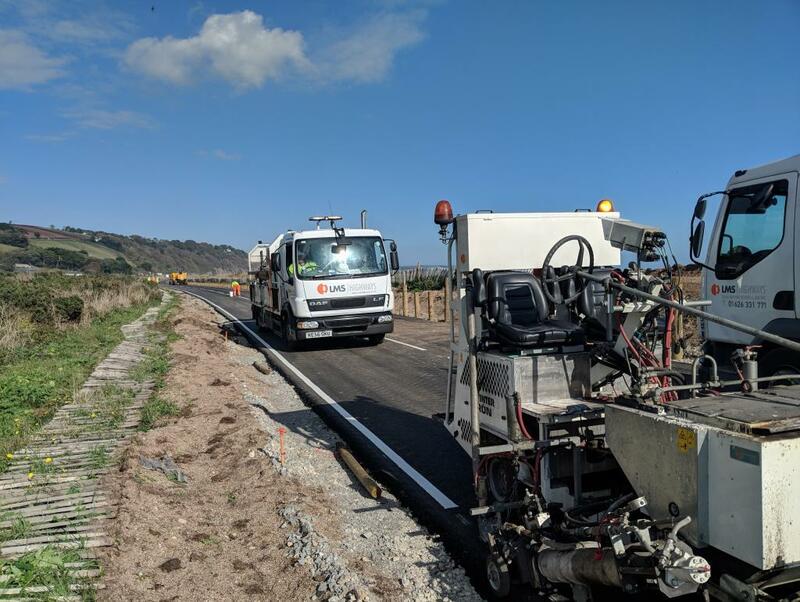 Line widths of 100mm, 150mm and 200mm flat line marking and rib lines of 150mm or 200 mm can be provided with remarkable efficiency - performance equivalent of 7 kilometres per hour. 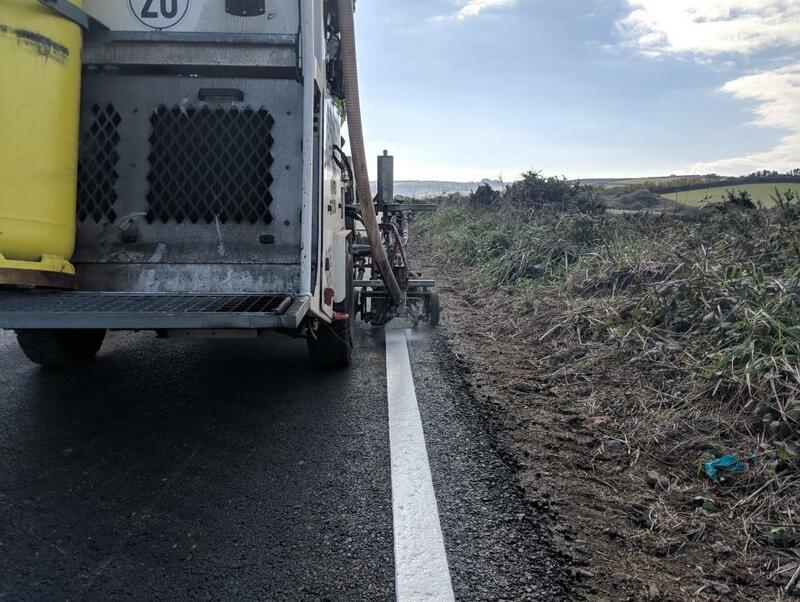 As the extruder is towed by one of our regular lining trucks, a hand laying crew complemented the extruder work by providing give way markings and various other markings and symbols. 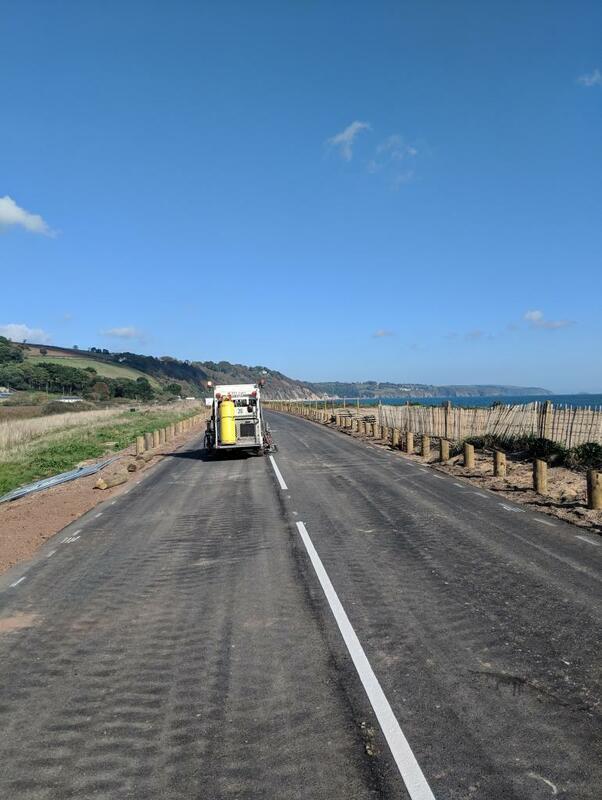 The road is expected to be opened to traffic shortly providing a much needed link between the coastal communities and local businesses in the area. 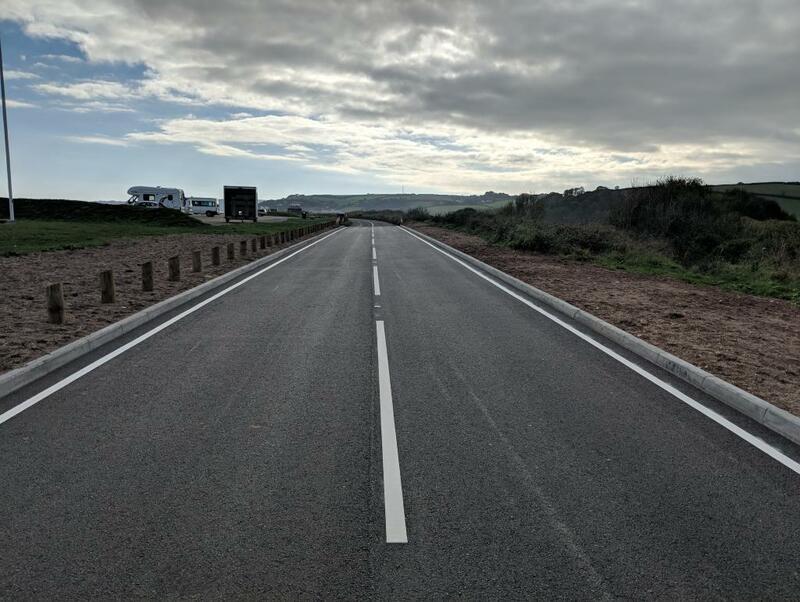 Work carried out October 2018 in Slapton.